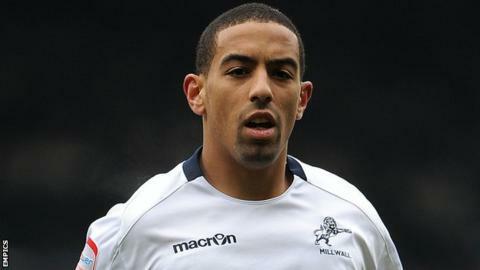 Liam Feeney is delighted to have made a significant impact during the opening weeks of his loan spell at Bolton. But the former Bournemouth man has appeared the last three games, from which Bolton have taken five points. "The manager really wanted me, he's given me confidence and it's started well so far," midfielder Feeney told BBC Radio Manchester. Feeney came off the bench to help Bolton to a home draw against Yeovil, before starting the 0-0 stalemate at Blackpool and a on Saturday - Wanderers' first league win of the campaign. He had played just four times for Millwall following the arrival of new manager Steve Lomas and, with his contract at The Den due to expire at the end of the season, Feeney is keen to make an impression on both Lomas and Freedman. "Different managers have their different methods and opinions, and chances weren't coming that often for me at Millwall," continued the 26-year-old. "I've got a contract until the end of the season at Millwall and I'm on loan here for three months. Beyond that, I don't know because it's not in my hands. I'm trying not to focus on it too much and I'm just trying to enjoy my football." Feeney added: "I spoke quite a lot [with Lomas] before I went out on loan and we saw the benefit of me coming out and getting games. "It was a win-win for everyone. If I do well here, the team does well, and if Millwall call me back they'll be getting a better player back from having some games. "He wished me all the best and I'm sure he's been keeping an eye on how I've been doing."